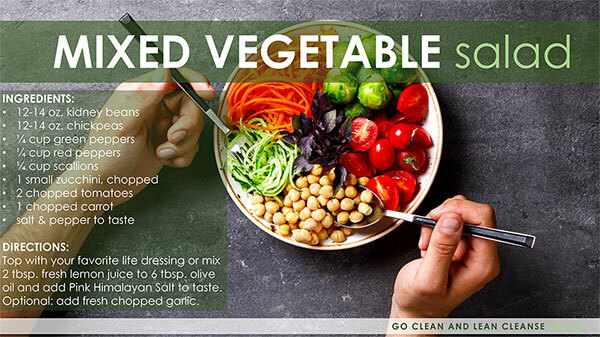 Hearty Vegetables - Purchase weekly (or twice a week), wash in baking soda, cut roughly in thirds, and store covered in water in refrigerator (a large bowl works great for this). Lettuce and Herbs - Scissor or tear, but don't wash until you are ready to use. Store either full leaf or in pieces in refrigerator drawer until ready for use. Each week add new and interesting things to your salad choices for the week. 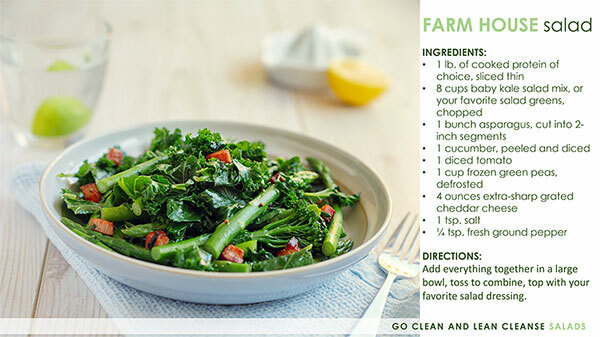 Add everything together in a large bowl, toss to combine, and top with your favorite salad dressing. In a large bowl combine spinach, tomatoes, radishes, cucumber, scallions, garlic, mint, parsley, yogurt, olive oil, lemon juice, cider vinegar, salt, and pepper. Toss well. 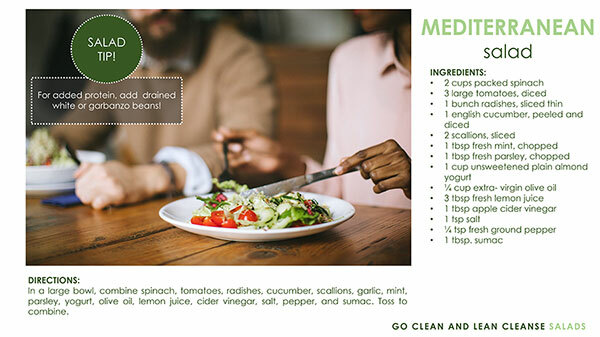 Eliminate the beans & chickpeas in this recipe and substitute your favorite protein for another yummy lunch or dinner. Top with your favorite lite dressing or mix 2 tbsp. fresh lemon juice to 6 tbsp. olive oil and add Pink Himalayan Salt to taste. Optional: add fresh chopped garlic. Preparations from olives and olive leaves have often been used in treatment of inflammatory problems, including allergy-related inflammation. 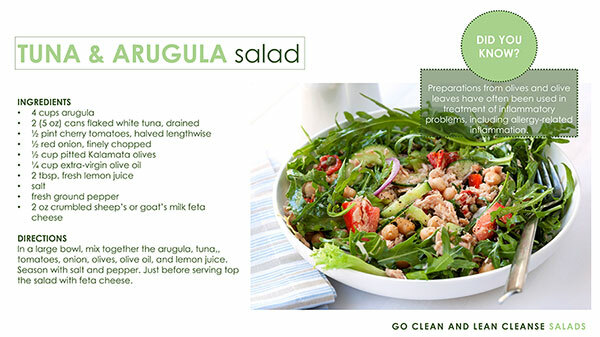 In a large bowl, mix together the arugula, tuna,, tomatoes, onion, olives, olive oil, and lemon juice. Season with salt and pepper. Just before serving top the salad with feta cheese.